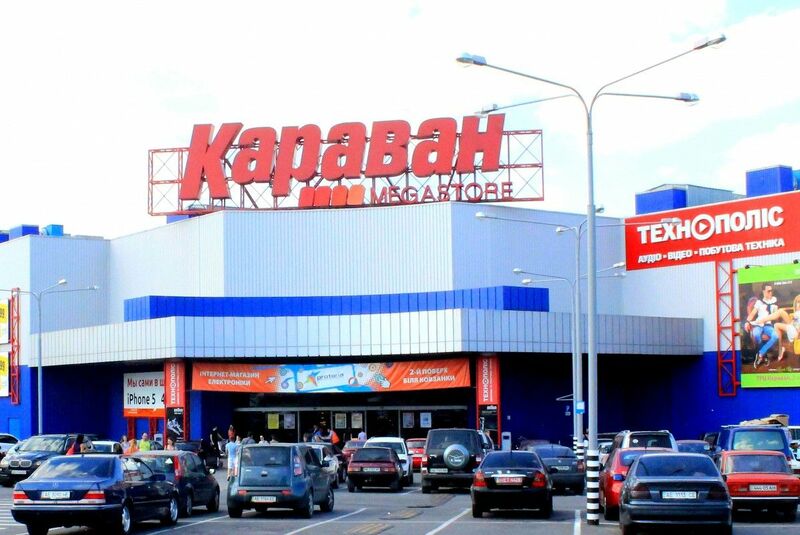 Kyiv's Karavan shopping mall has been seized for debts under a ruling of the city's Holosiyivsky district court. "[This order has been issued] to place a non-residential building – a shopping and entertainment mall located at 12 Luhova Street, Kyiv, under arrest along with a commercial and office building located at 12 Luhova Street, Kyiv, being owned by PJSC Lex Holding," the court said in a statement. It said that an investigator of National Police's Kyiv main department had requested that the court seize the Karavan shopping mall with an area of 46,700 sq. m., and a commercial and office building whose area is 10,500 sq.m. As the statement said, Lex Holding "by deception and abuse of confidence" borrowed a loan from VTB Bank. After that Lex Holding initiated the bankruptcy procedure, attempting to withdraw property put up as collateral and mortgage, which caused a US$73.9 million in damage to the bank. Read alsoWho will pay for mishap of Mykhaylivsky bank depositorsAs UNIAN reported earlier, Prosecutor General Yuriy Lutsenko wrote on Facebook on November 14, 2016, about the arrest of another Kyiv-based shopping and entertainment center, Gulliver, which was seized under a ruling by Kyiv's Shevchenkivsky district court. "It has been established during an investigation into embezzlement at Mykhailivsky Bank that the bank is owned by Ekosipan LLC whose 92.5% stake belongs to Viktor Polishchuk, the bank's owner. Today, Shevchenkivsky District Court in Kyiv ruled to satisfy a claim filed by the Kyiv prosecutor's office to seize the property complex of Gulliver," Lutsenko wrote.